It may seem surprising that Fresno, better known for sprawling new developments, is paving the way when it comes to rules for eco-conscious tiny houses. "We are the first city in the nation to actually write into its development code authorization for 'tiny homes,' " says Mayor Ashley Swearingen. "If there’s one thing that Californians should know about Fresno, it’s that we are full of surprises. And just when you’ve think you’ve pegged us to be one type of community, we’ll surprise you." Fresno's new rules specifically pertain to tiny homes on wheels, which are often treated like RVs in other cities. So that means there are limits on where and how long they can be parked. That's angered some tiny-house activists, like the folks at "Containertopia" in the Bay Area. I spoke with them recently for a BBC documentary about reducing Californians' carbon footprint. Some counties, like Alameda, Contra Costa and Napa, allow cottages on wheels as caregiver dwellings in the backyard of someone who needs assistance. Here's a list of California rules from the American Tiny House Association. "This is an important step forward for the tiny house movement because it sets a precedent for other jurisdictions nationwide," says Amy Turnbull, one of the directors of the American Tiny House Association. "This ordinance sends a clear message: we need to adapt our codes to accommodate new housing models and we need to do it quickly and decisively." 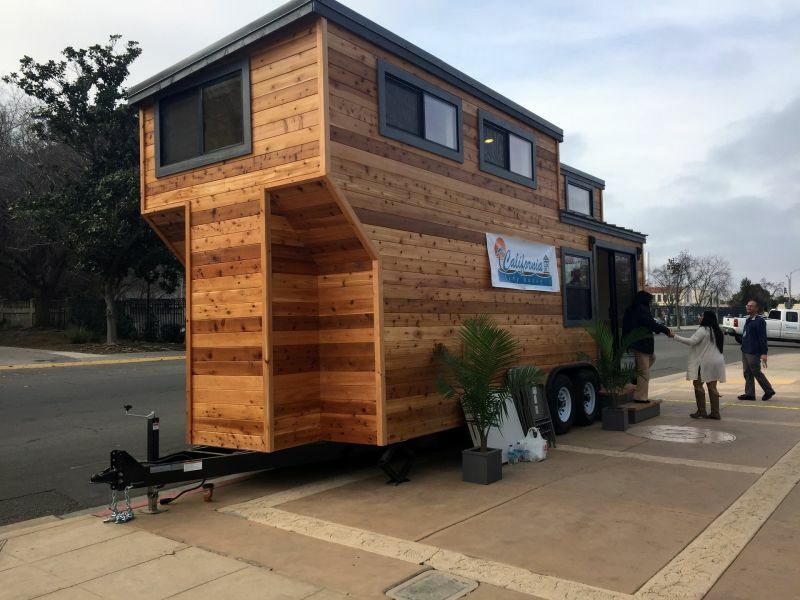 Fresno’s zoning code now allows any homeowner to park this kind of tiny home on wheels as a permanent second dwelling, either for use by the homeowner or as a rental unit. "This is a hot new trend in the United States housing market," says Swearingen. "It attracts people who are drawn to the prospect of a simpler lifestyle with less stuff, and more financial freedom." Some of Swearingen's motivation comes from wanting to support local jobs and manufacturing. A new Fresno company, California Tiny House, is now building these custom homes for people all over the state. It recently held an unusual open house to celebrate Fresno's new rules, parking a 270-square-foot cottage on wheels in front of City Hall. Nick Mosley is the 28-year-old entrepreneur behind California Tiny House. 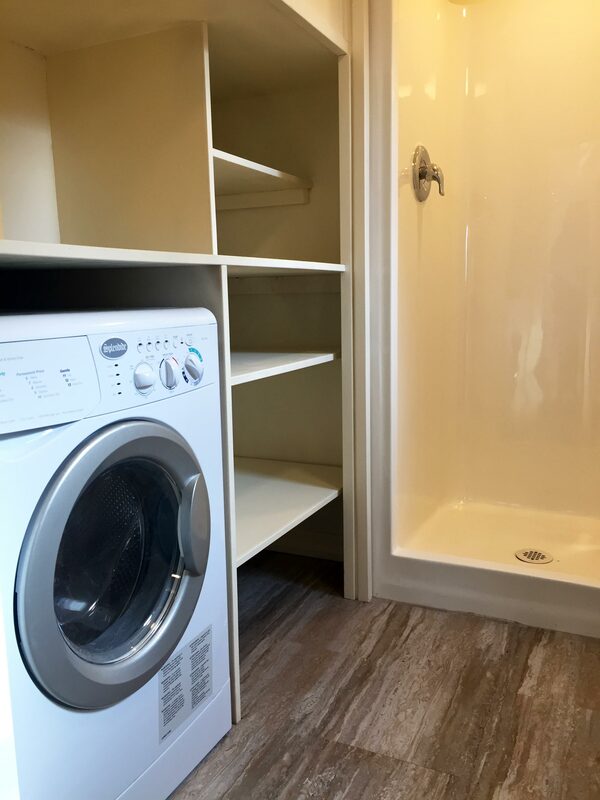 He gave me the five-minute complete tour, featuring the compact fridge, composting toilet and combined washer-dryer. "It does the whole cycle, washes and dries," Mosley explained. "All the water that you use through the house goes back to the water table. It’s all gray water." I nearly bumped into Fresno resident Cheryl Spencer as I stooped to check out the tiny upstairs loft with a built-in bed. "You’re not intimidated that your head could hit the ceiling?" I asked her. "No, 'cuz I’m short," she laughed. 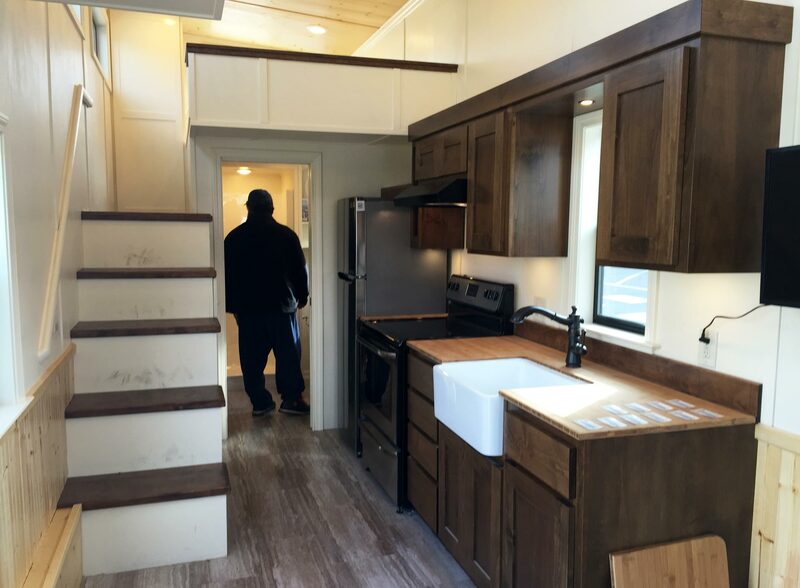 Spencer says the fact that new custom-built tiny homes like these start at $45,000 could really be a game-changer, especially in a city that was hit hard during the foreclosure crisis. "More and more families are having to combine into one household," Spencer told me as she admired the built-in cupboards. "This is ideal, a way a lot of people could afford a home that otherwise couldn’t. " That’s not to say Fresno is a tiny-house mecca yet. So far, all the tiny houses manufactured here have gone to Santa Cruz, Napa and other California cities.